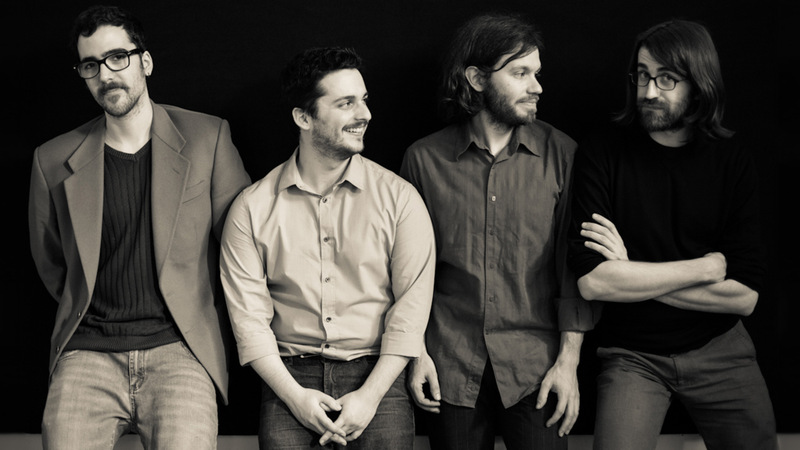 Dugong is an up-and-coming band by some of the best musicians of the Italian jazz scene. It was originally created in Milan by guitarist Michele Caiati and saxophonist Nicolò Ricci, but it was later expanded abroad to London based bassist Andrea Di Biase and drummer Riccardo Chiaberta. They released their debut album “Miscommunication” in 2014 with critical acclaim and toured it extensively in Italy, Switzerland and UK. They released their second album “The Big Other” in May 2018 with the prestigious Italian label Honolulu Records. The band has a very individual sound which draws inspiration from many genres of music, from Alternative Rock to Modern Jazz to Contemporary classical music. In their last album Dugong experimented with different kinds of musical structures other than the usual jazz approach of theme, improvisation and final melody. They also worked on the potential of linear counterpoint, drawing inspiration from Classical composers such as J. S. Bach and Frederic Chopin.